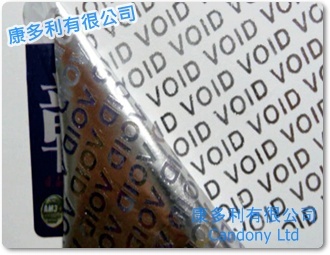 簡　介: 什麼是 Void Label? 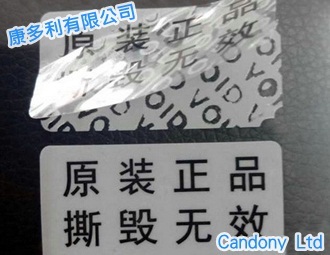 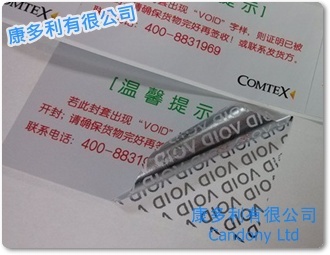 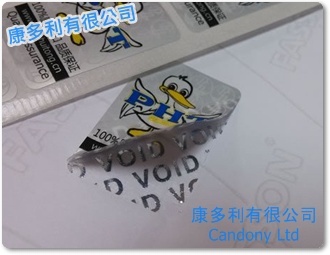 VOID label is a label material that will leave the word VOID on the surface after tear off the label. 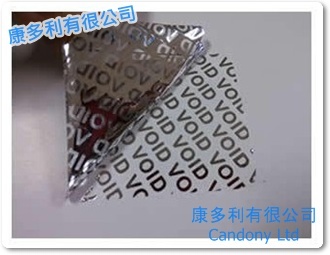 It is used for security seal purpose. 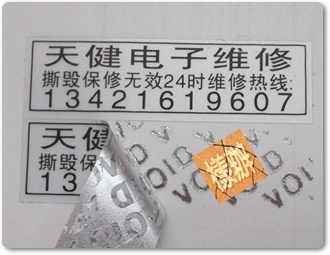 Sometime it called Tamper Evident Label. 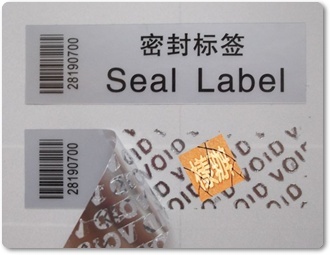 Tamper Evident Security Labels & Stickers Tamper evident seals and security labels are often used to detect tampering of containers and access points. 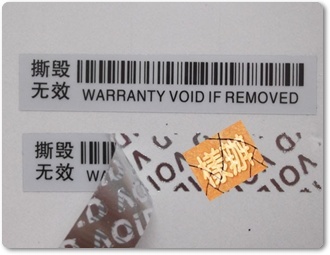 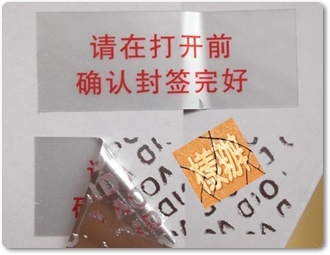 When removed, the tamper evident seal will self-destruct to indicate that the seal has been broken.